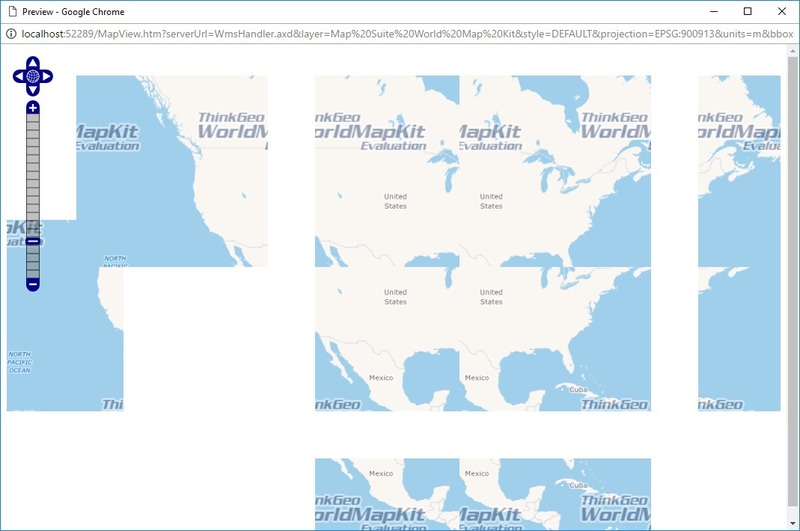 and changed the projection to Web Mercator in Default.aspx.cs for "WorldMapKitPlugin"
When viewed using the "preview" link, the base map is not rendered properly, please see the attachment. 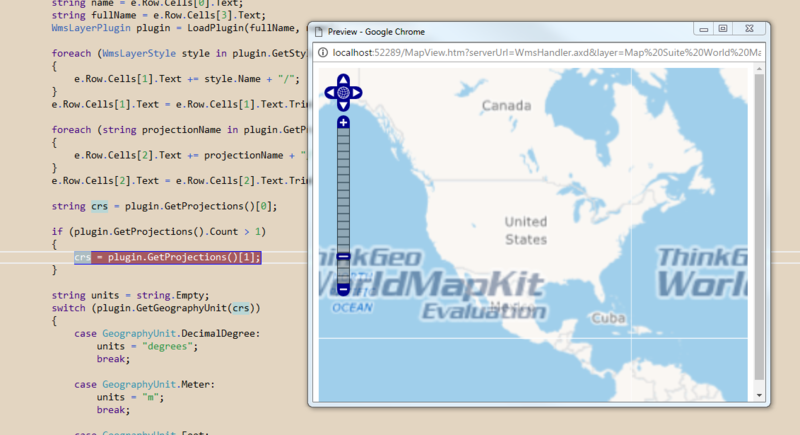 Can you please let me know if anything else need to be changed to view in Web Mercator? I download the sample from guide page, then run it works well. As below is my test result for the projection 900913, please download latest dll version from our product center. I guess that maybe also related with cache, so you can clear cache and try that again.